Venice Restaurants, ever Visited one of the them? Venice Italy offers a great dining experience. Enjoy the best Venice restaurants. Not all restaurants are top quality. And around the touristic areas it is sometimes better to skip this restaurant because of the high menu prices. So be aware. Good to know is that around the Rialto there are some good quality restaurants with local and fresh food. Obvious of course because it's next to the fresh market of the Rialto. The lovely fish dishes, pizza's and pasta's. Food is important for Italian - food and drink - or as the Venetian says, "Ombra e Cicchetti". 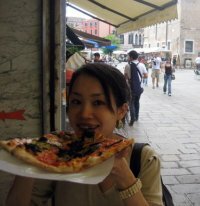 I will tell you about my favorite Venice restaurants and the Top 10 favorite dishes in Venice Italy. 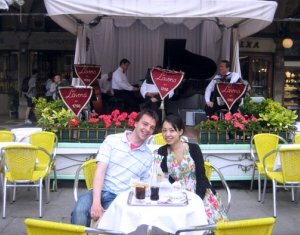 I made my top 5 eateries in Venice which you can visit with your partner. And you'll notice that the local Venetians eat at these restaurants also. Then it must be good! Nr. 1. 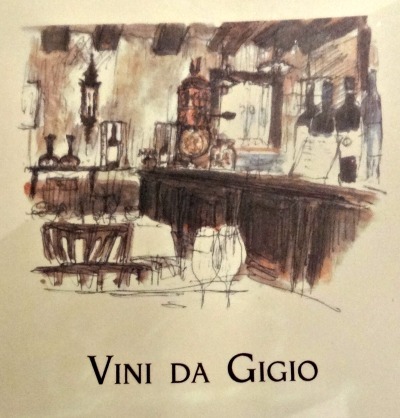 Vini da Gigio: This is my winner! Every once in Venice, I try to eat here. It is a small restaurant but with a good reputation. The atmosphere and the food is fantastic! The menu is changing time to time, my wife loves Spaghetti with squid ink (black). Upon entering the owners welcome you with a radiant smile. Restaurant Address: Sestiere Cannaregio 3628A - 30121, Cannaregio. Look it up via your smartphone, tablet or the map of Venice! Nr. 2. 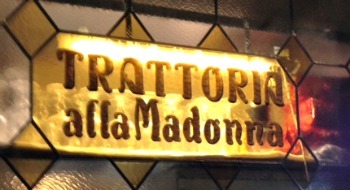 Trattoria alla Madonna: Traditional restaurant with good fresh fish. I love anguilla fritta (fried eel), but the risotto as a side dish is also excellent. Restaurant Address: Calle della Madonna 594, San Polo. Look it up via your smartphone, tablet or the old map of Venice! It's near the Rialto Bridge. Nr. 3. 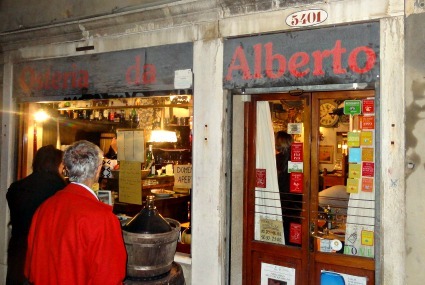 Osteria Da Alberto: Wandering in Venice and wonder where we're going for dinner tonight? So I walked along this Osteria. Still closed, but there was a queue, a line of 10 people. Then it must be good. I looked it up quickly and I thought, I want to eat... and what a real Venetian food! During the day they have chiccheti tapas and delicious dishes in the evening. And the atmosphere of the history of Venice is perfect. And would could I do? I could get a table for two, but then we had to leave at 20:00. spent over half an hour and enjoyed it! Super, at a very good price from EUR 25,00 - 35,00 p.p.. 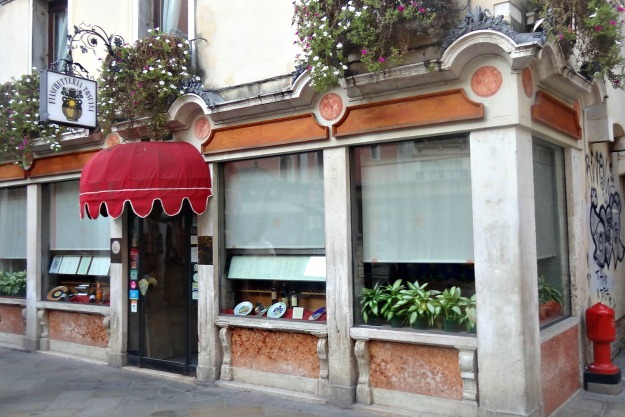 Restaurant Address: Calle Giacinto Gallina 5401, Cannaregio. Look it up via your smartphone, tablet or a map of Venice! Nr. 4. Fiaschetteria Toscana: Historic restaurant with a courtyard and delicious food. Their dish with lobster is my favorite. The restaurant is located near the Rialto Bridge. You walk towards the Cannaregio neighborhood and it is beyond the department store COIN. A few more steps and the restaurant is on the left. Price EUR 50.00 - 60,00 p.p.. Restaurant Address: Salizada S. Giovanni Grisostomo 5719, Cannaregio. Look it up via your smartphone, tablet or on a map of Venice! Nr. 5. 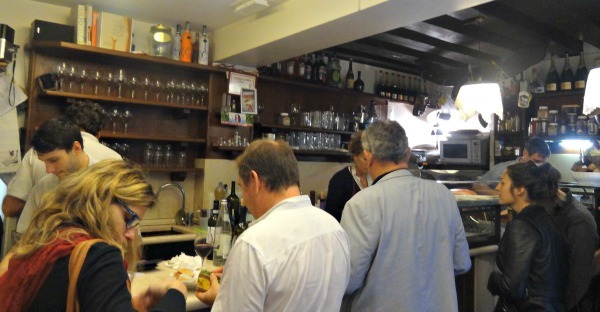 Osteria All'Arco: Want something authentic? A quick bite, but something very Venetian? Near the Rialto Bridge you can find Osteria All 'Arco. The snack bar where you can experience the best 'ombra e cicchetti'. Therefore, this Venice Osteria Bar is on my number 5 of best eating place in Venice Italy. Just for the fans to enjoy a meal in Venice! What to eat? Small snacks; For example, small sandwiches with wine or a spritz in the other hand. Often you have to eat while you are standing, because there is no seating. Surprise yourself and ask for the chef special! It's not expensive. One wine and a dish is only EUR 5,- p.p.. If the Rialto Market is open this osteria restaurant is crowded with food-lovers. Every day the ingredients are straight from the local market! Restaurant Address: Calle dell'Ochialer 436, San Polo. Look it up via your smartphone, tablet or a map of Venice! Enjoy a delicious gala dinner with singers, dancers, acrobats, and musicians. Yes, this kind of entertainment has also arrived in Venice! Its fun and the food is excellent. I didn't visit it yet, but some people recommended it to me. So I hope you like it! The restaurant is antique with chandlers and a lot of baroque style furniture. You can drink wine, eat meat, fish or be veggie and with a gorgeous dessert, it is a full program of food and entertainment! For a quick bite and a drink is a local bar much more enjoyable. In Venice they call this an Osteria! 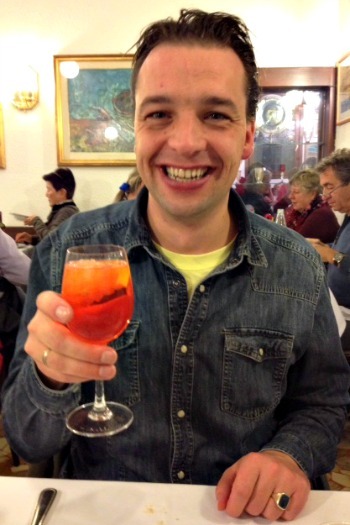 Or how about a bar where you can drink a spritz or a wine and while standing you are eating Venetian chicchetti. You should not think of a pub as we know it, but a kind of food bar / cafe. A popular American eatery is Venice's Harry's Bar. The price of the drinks and the food is terrible and expensive. It depends on how much service you will get from the waiter. So be aware when you order. For me it was not a nice experience. They let me and my wife sit downstairs. And you can not look outside. But read quickly my experience at Harry's Bar. This cafe is near the Piazza San Marco at the quayside and the opposite of vaporetto station S. Marco (Vallaresso). Carpaccio: Raw beef sliced thin and sprinkled with flakes of Parmesan cheese. Sarde in Saor: Fried sardines in a sweet and sour mixture of onions, currants and pine nuts. Antipasto di Frutti di Mare: Seafood platter of octopus, anchovies, shrimp or whatever else is in season. Prosciutto e Melone: The sweetness of wedges of melon is contrasted by the salty cured Parma ham. Risotto di Pesce: Clams, mussels, shrimp and assorted fish in a heavenly creamy rice dish. Pasta con il Nero di Seppia: Spaghetti combined with a sauce of tomato and cuttlefish. Fegato alla Veneziana: Calves liver cooked slowly with onions and vinegar. Grilled Vegetables: Red chicory or courgettes and aubergine and roasted peperoni. Tiramisú: Dessert with a creamy egg sauce, mascarpone and sponge drenched in coffee or liqueur. Spaghetti with cuttlefish: Squid ink colors the spaghetti black. Beware you get a black tongue and lips as well. 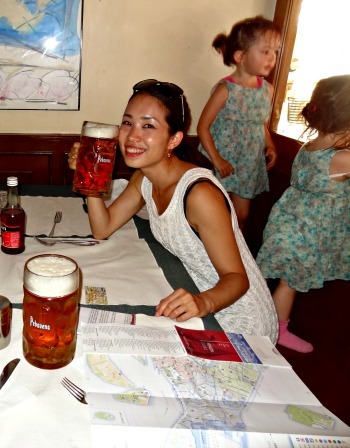 Venice Italy Restaurants - Saving Tip! Why you shouldn't sit at St. Marc Square on a terrace where the orchestra is playing? Of course, this is nice, but you have to pay extra for the band. And this is often an extra tenner. This is on top of the overpriced food and drinks that are too expensive in comparison with my Top 5 restaurants! Lunchtime for Venice Restaurants is from 12:00. The restaurants are open during lunchtime, but mostly the better ones are still closed. Dinner starts around 19:30 and the kitchen is open until 23:59 pm. But because of the tourism a lot of restaurants in Venice serve their guest much earlier. For dessert, the Venetians prefer pudding, fruit or cheese. After the meal there will be coffee to finish. If you wandering around the streets of Venice you will encounter many restaurants. Street corners where you will have fast food with an attractive price. Think of all kinds of pizza slices, salads and sandwiches. My advice is to try at least one evening in a restaurant which is in my top 5! Last Tip: A bottle of water can be bought at the St. Mark's Square or near the Rialto Bridge and you will pay EUR 1.50. While if you buy the same bottle three blocks away it is EUR 1.20. It's the same with the Venice restaurants. But I'm sure you always will choose good if you eat in one of the restaurants in my top 5 ! See other great reviews about Venice Restaurants. They were all written by other visitors to this page. You have read about Restaurants in Venice. There is enough Italian cuisine to explore, as you can see. Please click on the links to explore my site more.